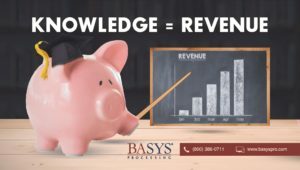 LENEXA, KANSAS November 4, 2016 — With the end of year approaching, amidst the focus on 2017 budgets and planning, BASYS Processing announced today its plan to release a 5-part video series to offer bank executives a comprehensive plan to grow their merchant services program. The Merchant Services Bank Education Series will break down the components of an extremely successful program, providing the knowledge necessary to maximize the revenue potential of a bank’s merchant services portfolio. The Merchant Services Bank Education Series videos will be available to view online, as they are released at: www.basyspro.com/bank-education-series/.